We have several Block of the Month programs. See below for a photo and brief description of each of these beautiful quilts. Call us at (518) 767-2040 to register and begin receiving the Block of the Month of your choice. Journey to the mid-19th century and read Mrs. Miller's diary, as she tells the story of meeting young Ellie, who just moved into the neighboring farm with her widower father. During this program, you'll join Mrs. Miller and Ellie in creating a beautiful variety of sampler blocks and read diary entries telling the story of their growing friendship as she takes Ellie under her wing and teaches her to piece quilt blocks. Indigo blue and light quilts were so very popular in the 19th century and are still a classic today! 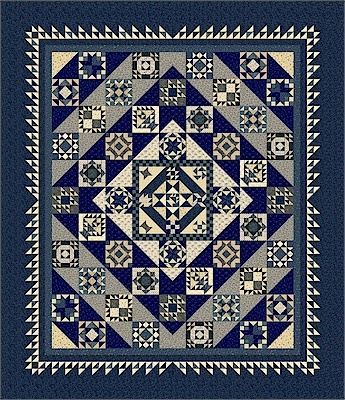 This quilt, by Pam Buda of Heartspun Quilts, features several gorgeous Indigo blue prints, as well as many other shades of blue and a blend of lovely light prints that make the sampler blocks sparkle! It's sure to be a treasured quilt in your collection. The finished quilt measures 77"x 89". 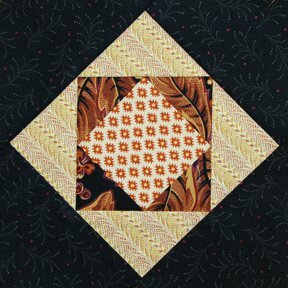 During this 12-month block of the program, you will receive the pattern and fabrics needed to complete the quilt top including borders and binding. $28 per month. This is a new BOM program from Henry Glass Fabrics and Kim Diehl. 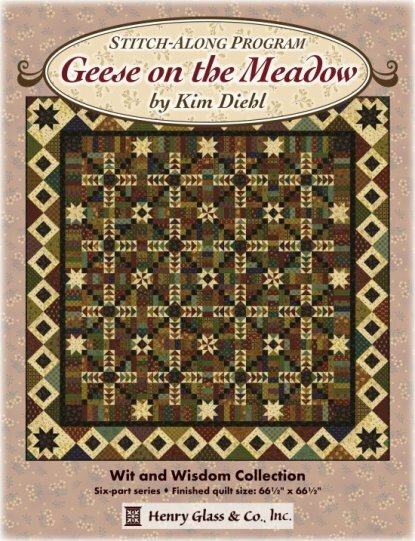 This is a six-month program featuring Kim’s newest fabric collection “Wit & Wisdom”. 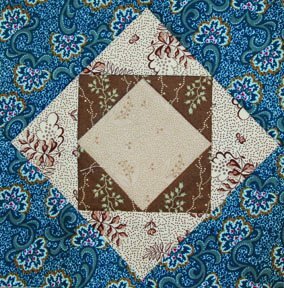 For the first five month you will receive the pattern and fabrics for the center of the quilt. The last month you will receive the instructions and fabrics for the borders and how to complete the quilt top. Binding is also included. The finished quilt measures 66 ½” x 66 ½”. $35 per month. 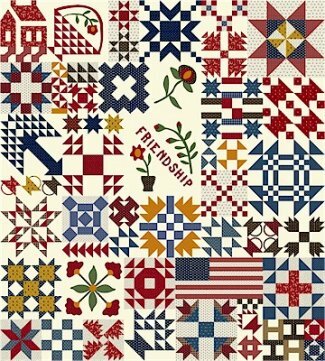 The Temecula Album Quilt is a beautiful sampler that mimics those of Ohio's Miami Valley in the late nineteenth and early twentieth centuries. The mismatched block sizes, unique appliqué and wonderful folk-art appearance of these quiltmakers provide the perfect inspiration for this Block of the Month. The finished quilt measurers 63” x 70”. During this 12 month BOM program, you will receive the pattern and fabrics needed to complete the quilt top, borders and binding. $25 per month.